If you are getting married anytime soon, you must already be going crazy with your wedding prep. But don’t let the pre-wedding stress damage your hair before the big day. Start your hair care today itself to make sure that you have healthy and beautiful hair that you can style to your liking on your wedding day. To make your hair care regime easier, here are the 5 things you can start doing at least 6 months prior to D-day! No, 6 months is not a long time. You can even follow a pre-bridal beauty timeline to look like a million bucks on your wedding! * This is literally a no-brainer. Eat your greens and fruits and maintain a healthy diet to have healthy and thick hair. Eat foods that are rich in Vitamin E. Snack on that avocado-rich guacamole or almonds when you're hungry in between meals. Both of them are full of Vitamin E that helps your hair become healthy. * If you have excessive hair fall, consult your doctor and ask him/her if it is safe for you to take biotin supplements. Biotin is a water-soluble vitamin, which makes your hair and nails grow healthier and faster. You can read more about biotin supplements here. * Do the good-old champi every week to strengthen your hair roots and repair damage. Using a good-quality virgin coconut oil for hair massage is the best. I personally love the Max Care Cold Pressed Virgin Coconut Oil as it has made my hair stronger and shinier over a period of time. Use an organic shampoo for hair wash and don’t forget to use a good hair conditioner post hair wash! * Try deep-conditioning hair treatment with a DIY mask every 2 weeks to make it super-soft. 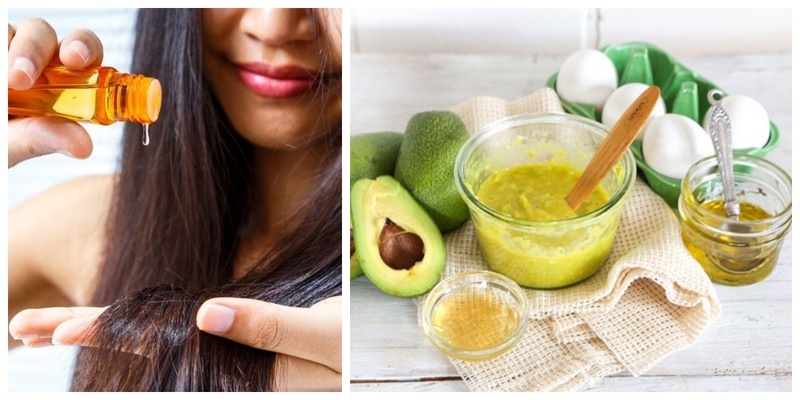 I personally like a good avocado-olive oil mask that nourishes my hair and make it silky. You can use this mask if you have damaged hair that needs moisture! Find the recipe here. Unless you have coloured your hair previously, it is recommend to not change your hair colour before getting married. However, if you already have coloured hair, make sure you catch hold of a good hair colourist and use ammonia-free and branded hair colours with minimal chemicals. Even better if you can find organic hair colour that won’t damage your hair like commercial hair colours do. This might sound unnecessary, but believe me, trimming your hair every 2 months will not only get rid of your split ends, but also keep your hair in good shape. If you think going to a salon everytime you need a trim is too much, then you can even do it yourself at home. Here’s a tutorial on how to trim your hair at home! Follow these 5 tips religiously and slay on your wedding day with fabulous hair!